Celebrating our 19th year in business! We are the Westshore’s choice for beer, wine, sparkling ciders and coolers. 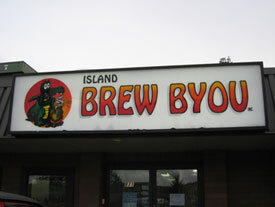 As the Westshore’s first & only “”Do-it-yourself”” Microbrewery, we have over 70 beer recipes to choose from. Using imported and local grains, barleys and hops, you can make your own “”Craft Beer””, from a light Cerveza, to an Irish Stout. We will help you, every step of the way.